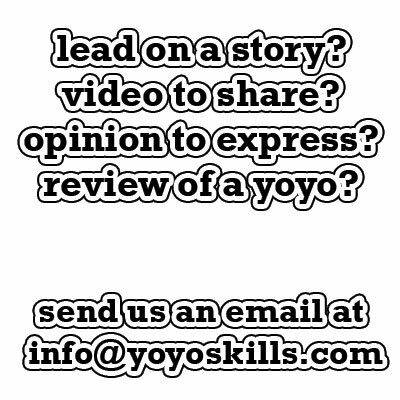 *I am a member of the YoyoZeekio team. This does not mean I will automatically love every yoyo the company brings to market just because I get one for free. 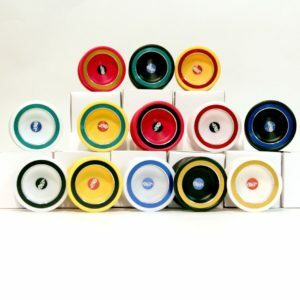 If anything, I am more critical of the product because as a team member I am expected to share these yoyos around at club and contests, participate in the marketing of them, and have my name associated with them. My job is a lot easier if the yoyos are ones I genuinely enjoy. 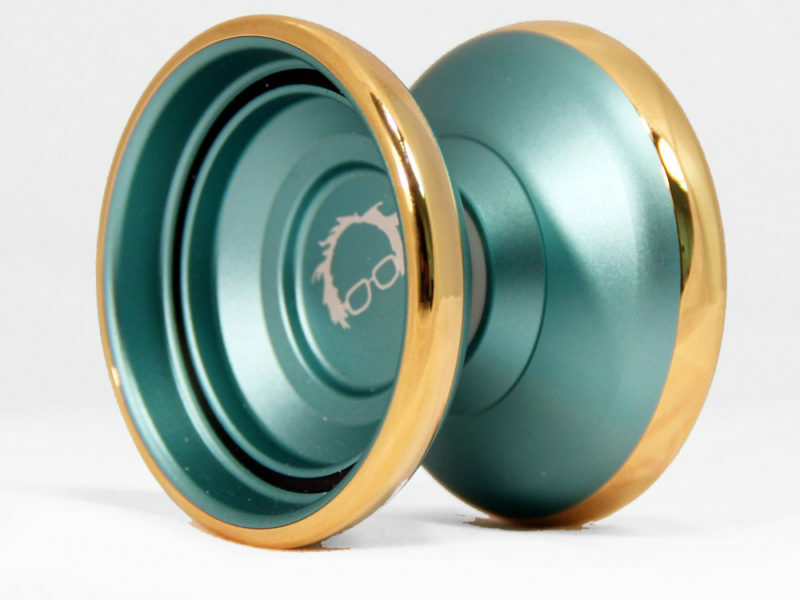 The YoyoZeekio Flare is one of my favorite yoyos. I dig the style and the unique combination of materials used in its construction. The overall performance is competition-oriented and killer for speed play. (For a rundown on the flare, go here http://www.yoyoskills.com/?p=18995) I received my Flare Ultra without warning and therefore had no preconceived ideas about how it would play. 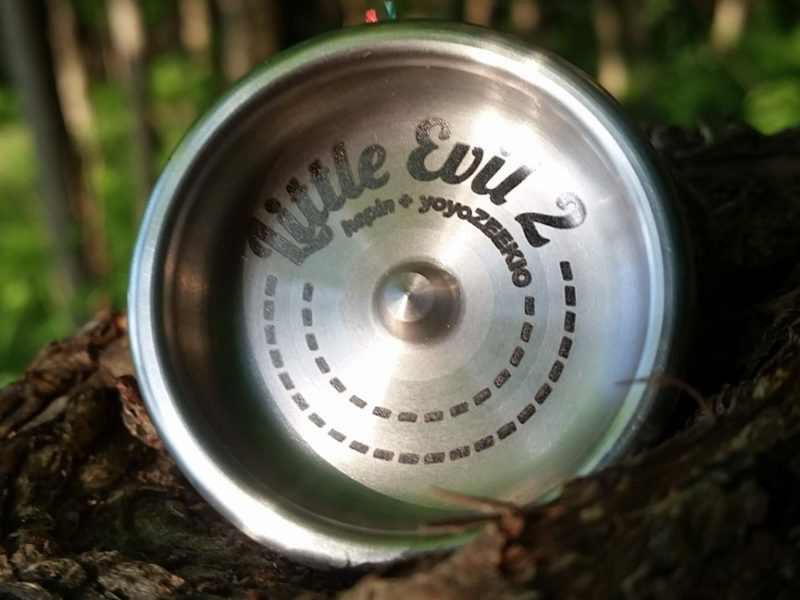 I am always extra skeptical about a new YYZ drop and extra critical since some portion of my reputation is associated with these yoyos. The Flare was well-received and the players who tried it had nothing but positive things to say. Let’s see how the follow-up Flare Ultra compares. My YYZ Flare Ultra came in a simple white box. No complaints. The retail version may come in the newer, fancier boxes YYZ had been using, but I can’t say for sure. Of the 13 available color combinations (yes, 13!) 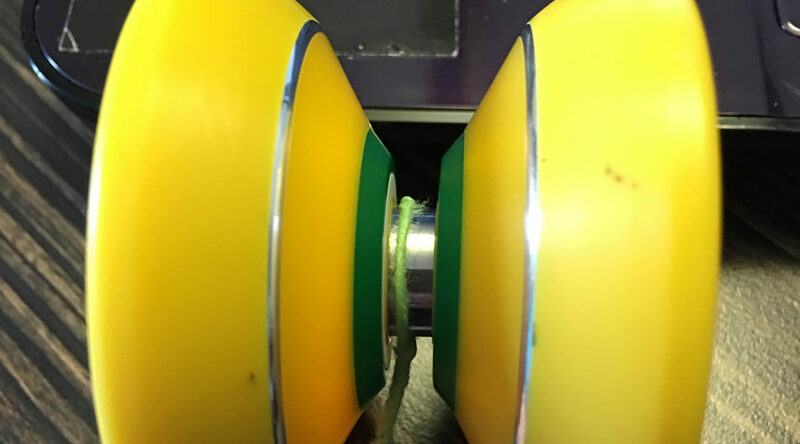 I was sent the yellow with green rims and pinkish-purple hub with green delrin material making up the last step in the gap. Some of the 13 colors available are really obnoxious in a way I like, including mine. They’re loud, visible, unusual and offer a break from the standard colorways found throughout the industry. The FU is 2.5g lighter than the Flare and 1mm larger in diameter. It has the same aluminum sight lines but with aluminum outer rings as opposed to the stainless steel in the Flare. As usual, I’m skeptical of any yoyo made from multiple pieces. The chance of vibe and durability issues increases significantly with each part. I’ve played the FU for a few weeks solid now and have put it through what any yoyo I own goes through. It’s hit floors and tables and chairs and ridden around unprotected in a backpack and pocket. And it’s fine. A few marks here and there (see photos) but no vibe or any damage that affects performance. The stock 8-ball bearing is standard fare and performs well, although I may switch out for a Twisted Trifecta to bring down the noise and increase the sleep times a bit. My FU has some vibe but nothing I would consider a deal breaker or want my money back for. I like a little vibe and I would say this yoyo has just enough. On a throw and on the string the FU feels significantly heavier than its 64g spec (more like 66g) thanks to it’s strong rim weight. It’s stable and feels way more relaxed than its predecessor while still being capable of speed combos and horizontal play. Binds are nice and tight with the stock pads, although they did take about an hour to break in. Overall, I found it extremely enjoyable. For me, it’s the kind of yoyo you can throw while listening to some chill electronic grooves, or maybe reggae, if that’s your thing. It’s good yoyo for checking out with some earbuds in and exploring new tricks. Buy it. At $39.99 it’s great value for a yoyo that will end up high in your rotation. The ability to select from 13 color combinations is a killer selling point, as well. While I can’t say the FU generated a huge amount of excitement in me, it has a really familiar and comfortable feel in a unique package that keeps me reaching for it over some of my other more recent acquisitions.